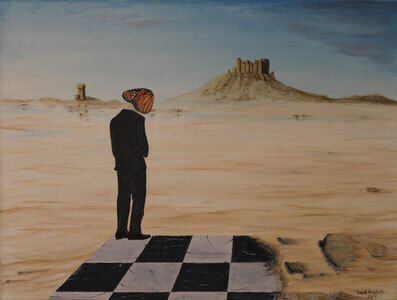 Monarch: One of my surrealist oil paintings. Once the political chessbooard of this world is broken, the players will have lost everything. May their minds turn from greedy caterpillars into something more hopeful. Interested in more of my art? Please press the button below. Have fun.